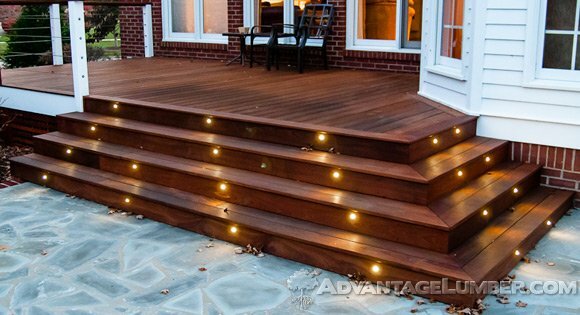 Integrating lights into your deck is the best option for a finished look. 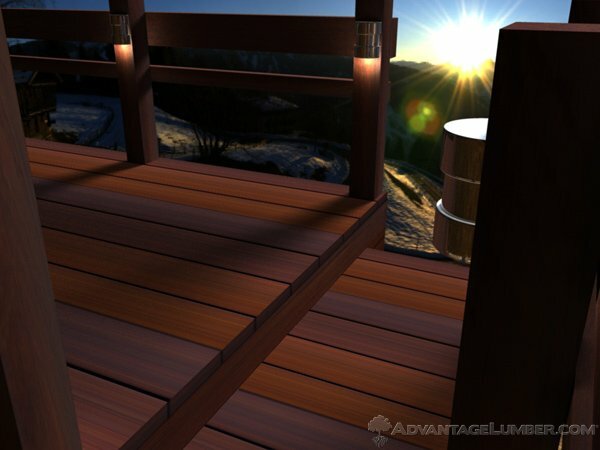 There are three types of integrated outdoor deck lighting: rail lighting, post lighting, and stair lighting. Rail Lighting is installed in the underside of a rail cap and illuminates the perimeter of a deck. It provides ambient lighting and defines where railings are. With rail lighting, your guests can enjoy a soothing light that doesn’t interfere with their enjoyment of your outdoors. 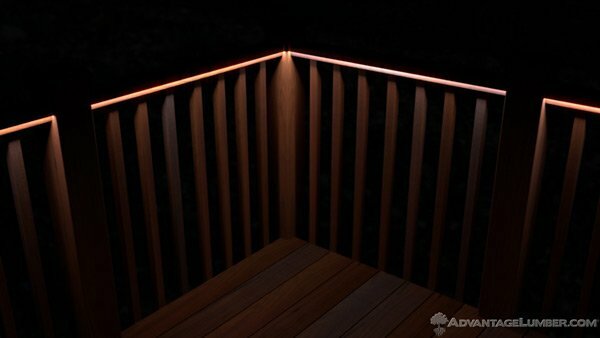 Post Lighting is the most overlooked of all outdoor deck lights. They mark larger posts that can pose tripping hazards and illuminate railings and areas near the perimeter of the deck. This added feature is sure to be welcomed by your family and guests. Stair Lighting is both elegant and helpful. 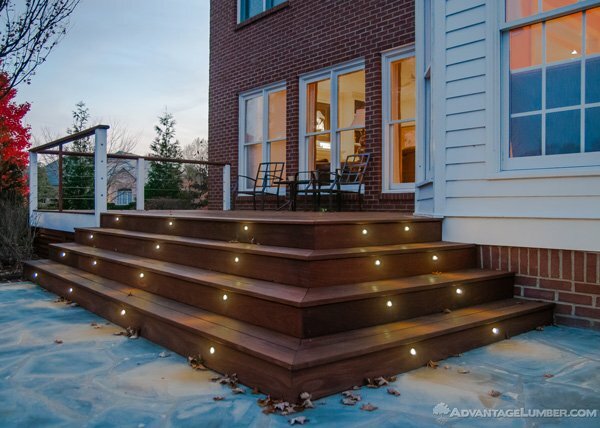 Using regular lighting options on stairs can draw attention to areas with little visual appeal, clashing with the rest of your deck. With stair lighting, only the steps are lit to provide safety without illuminating unnecessary areas. Designing your deck can be an exciting time, but also a frustrating one. Choosing the correct options to increase safety, utility, and beauty is key to a long-lasting deck design. Installing deck lighting is choice that adds more than just nighttime entertainment; it adds safety for you, your family, and all your guests. I do like the rail lighting and how it is placed under the railing of the deck to provide a good ambient light as well as emphasize the shape of the rails. I think my mom would go for that one since she is absolutely proud of how the deck railing looks. This is one that I will suggest when she starts picking a patio lighting for next month’s event. Thank you!